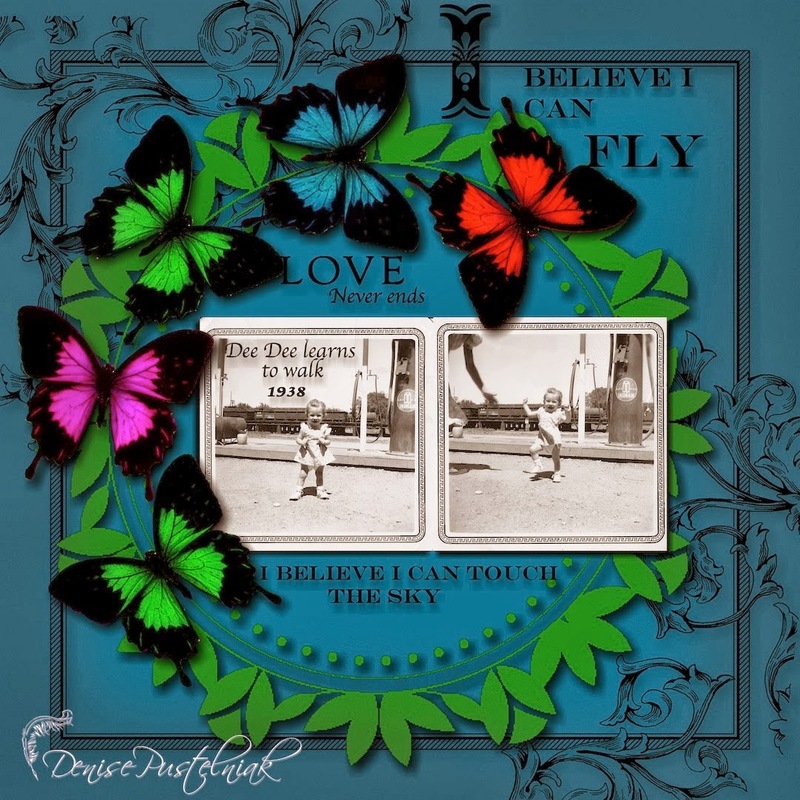 I couldn't resist sharing this digital creation by Denise Pustelniak from her blog Thru the Looking Glass. It's so sweet, and the jewel-toned colors are gorgeous...She created this for the Lasting Memories challenge with the theme Love plus Wings! I'm proud that she used some of my bright butterflies. Lasting Memories is a layout challenge blog... you might want to check it out. THANK-YOU So much! I couldn't resist using these beautiful butterflies from Lunagirl!.